The identity of a Texas execution drug supplier will remain a secret. 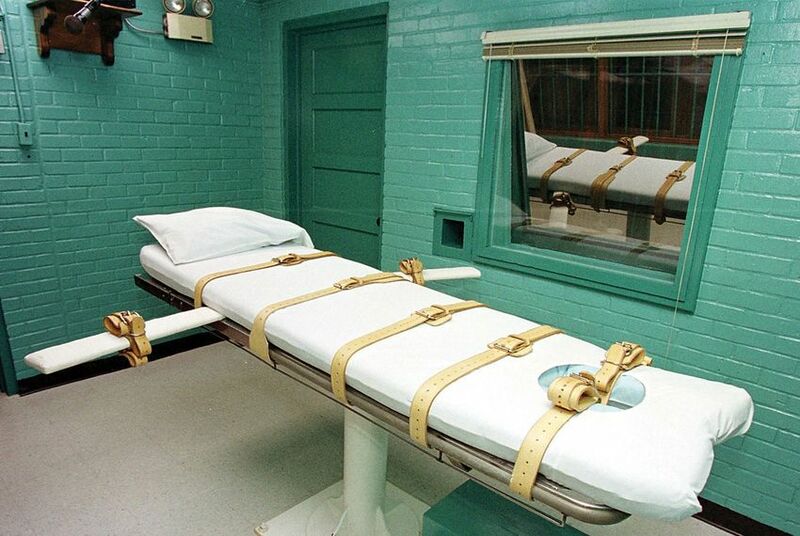 On Friday, the Texas Supreme Court ruled against decisions by lower courts and said the Texas Department of Criminal Justice can withhold the name of the compounding pharmacy that provided doses of the lethal drug used in Texas executions in 2014. It's unknown if the 2014 supplier is the same pharmacy that most recently sold doses to TDCJ last June. In its decision, the court scolded the appellate court's ruling for disclosure, saying it "should have credited direct evidence and expert affidavits regarding significant risks of physical harm faced by lethal injection drug suppliers." The Supreme Court originally declined to hear the state’s appeal last June, which would have meant the release of the supplier’s name, but it later reversed itself after the state said revealing the identity could endanger not only the pharmacy but the existence of the death penalty nationwide. Court precedent allows for withholding public information if its release could cause a “substantial threat of physical harm.” Lawyers who fought for the release of the name have said keeping the information hidden goes against government transparency and that the credibility of the threats TDCJ has mentioned are in dispute. At a January hearing in front of the court, some justices questioned whether the threat posed by naming the pharmacy applied to physical safety or only business interests. The court ruling lands on the former, citing a Texas Department of Public Safety threat assessment that ruled there was a risk of danger. “We conclude, based on the evidence in the record, that disclosing the source’s identity would create a substantial threat of physical harm to the source’s employees and others,” Justice Paul Green wrote in the court’s sole opinion Friday. Texas executions have long been shrouded in secrecy, and a 2015 Texas law put the practice into statute. The law dictates that the identities of all those involved in carrying out a death sentence are to be hidden from public view, from the drug supplier to the person who pushes the plunger to inject the lethal drugs. But the law wasn’t retroactive, so it didn’t apply to a lawsuit filed the year before by three death penalty lawyers. Since 2014, the attorneys have fought to reveal the name of a pharmacy that supplied pentobarbital — the sole drug used in Texas executions — at that time. They have argued the information was necessary to ensure the drugs were safe at a time when multiple states had "botched" executions with new drug combinations and struggled to find lethal doses. The Texas prison system has argued that the identity of an execution drug supplier must be kept secret to avoid endangering the supplier. Texas Attorney General Ken Paxton praised the ruling and reaffirmed the state's position that anonymity of suppliers is needed to ensure physical safety. "The voters of Texas have expressed their judgment that the death penalty is necessary, and this decision preserves Texas’ ability to carry out executions mandated by state law," he said in a statement. Attorney Maurie Levin, a plaintiff in the lawsuit, said she was shocked by the ruling, which came after lower courts found the public had a right to the information and the Texas Supreme Court originally declined to hear the state's appeal. She said recent events, like a peaceful protest at a pharmacy revealed last year to have provided execution drugs, show that the threats the state names are a "farce" and the ruling forfeits any claim by the state for having an open government. "The Texas Supreme Court’s opinion has no legal or factual integrity," Levin told The Texas Tribune Friday afternoon. "It is mind boggling that they reach this conclusion unless it's taken as political." The DPS risk assessment cited by the state in the case was done after the Woodlands Pharmacy near Houston was identified as an execution drug supplier in 2013 and received "a significant amount of hate mail, comments on its website, and negative media attention," including a blog post with a picture of an exploding head, according to the ruling. The lower courts ruled that the evidence presented was speculative, and they weren't convinced that naming the 2014 supplier would more likely than not result in a threat of physical harm. In its Friday ruling, the Supreme Court also declared that the mail and a protest that followed naming the Woodlands pharmacy did not constitute substantial threats to physical harm since they show "only people expressing their distaste for capital punishment. "And the blog post, Green wrote, still is not an explicit threat and could mean, "My mind is blown." What swayed the court was a professor's email to an Oklahoma pharmacy — and DPS's determination that it was a serious threat. The email said the owners might want to increase security. "As the folks at the federal building can tell you, it only takes one fanatic with a truckload of fertilizer to make a real dent in business as usual," the professor wrote. "Although we agree with the court of appeals about the blog posting, the professor’s email is not as easily disposed," Green wrote. Before the court in January, Philip Durst, who argued on behalf of the death penalty lawyers, argued against a substantial risk for identified drug suppliers, noting that another pharmacy was recently named as a supplier in a BuzzFeed investigation and faced only peaceful protests. “This, of course, both demonstrates that violence will not erupt and that any hoopla has already died down," Durst argued.